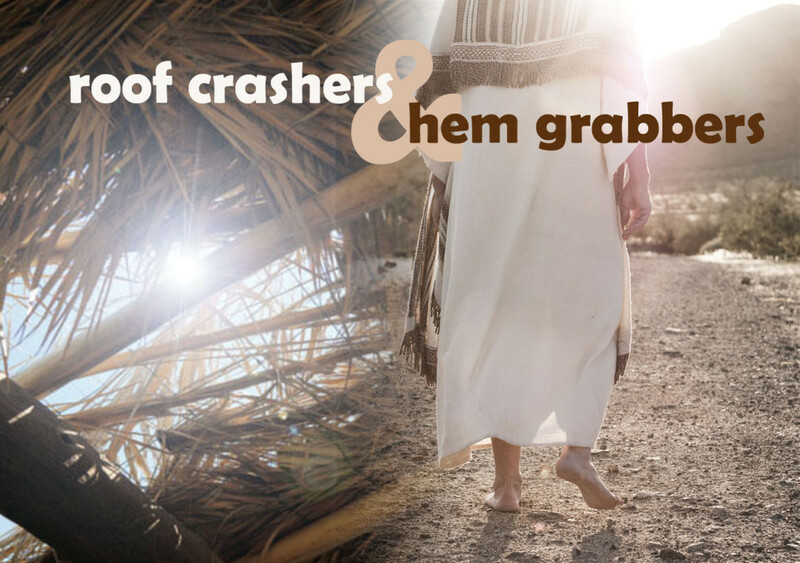 We have a perfect example of the phenomenon in our gospel today, when Jesus’ hometown friends and family try to throw him off a cliff. I knew even though I had to tackle 1 Corinthians 13, I simply could not let today’s gospel go unremarked. It is one of the craziest stories in the Bible—a group of people drag Jesus from the pulpit at the synagogue and try to throw him off a cliff. It’s like a Jerry Springer episode right in the middle of the Gospel of Luke. But the question immediately makes me examine my own life. How often have I failed to recognize Christ and pushed him away from me? Or worse, and more akin to the story, how often have I recognized Christ, seen holiness right before me, but been so convicted by it that I try to drive away the person or situation serving as a witness to me? I fear it has happened more often than I would want to admit. Because the people of Nazareth found that the Divine Presence came to them in a disappointingly familiar package. They had seen him grow up, as a little boy fall down and skin his knees, run around the town and play, become a teenager studying Torah with a rabbi, and finally as an adult, work in his father’s carpentry shop. They perhaps had gossiped about him when he was a child, discussing the rumors that Joseph might not be the father of Mary’s little boy. As the old saying goes, familiarity breeds contempt. When the Messiah came, they wanted him to be big and important and mysterious, arriving in a cloud of smoke and fire or something. They were thoroughly unimpressed with some guy from their hometown who didn’t have a job, a wife, or a family. He was supposed to be the Messiah, the bearer of the presence of God? What an awful thought. In fact it was blasphemous in their eyes. How dare this ordinary man claim to have fulfilled the scripture in their hearing? But before I get feeling too superior, thinking, well I would have recognized and valued Jesus as the Christ, how often every day am I committing the same sin? How often do I not see and appreciate the spirit of Christ, the indwelling Christ, in my neighbors all around me? Some of them I may find irritating, sure, but I love and admire and enjoy many of them. Isn’t that enough? It is not enough to simply judge people with our human eyes and fickle human tastes. We have to look deeper, to honor the spark of the Holy Spirit that is a part of each human being on this Earth no matter how hidden to our jaundiced eyes. One of our most important tasks in life is to love our neighbors for who they truly are, those created in the very image of God. And the riches we’re missing in each other are as deep and valuable as the riches I missed when I dismissed our 1 Corinthians scripture. What is the antidote to our judging others and finding them wanting? What is the corrective to being unable to recognize the living Christ among us? Or worse, recognizing him easily but pushing him away because he does not appear in a form we find palatable? The answer to all of these negative impulses is love. Plain and simple, patient, kind, enduring love as Paul describes it. Love that bears all things, believes all things, hopes all things, endures all things. As simple as it appears on the surface, it’s worth thinking about the nature of love if we are to seek it out to pervade our lives. I’ve been reading a book called Love 2.0 by Barbara Frederickson that examines love from the perspective of evolutionary biology. Yes, God created us to be vessels of love, but how did that happen in terms of how we evolved as human organisms over the millennia? That’s how science sees it. And how fascinating that after years of trying to explain away every theological idea of human functioning with a scientific principle, scientists are now discovering that theology and science are actually saying the same thing—human beings need to give and receive love to reach their highest potential. So the question we need to ask ourselves is this: do we see how often we’re standing on the edge of that cliff trying to push Jesus off? We need to stop and evaluate what’s happening when we’re having a negative reaction to a person or a situation. Some moments in life are purely negative and there’s no need to sugar coat them. Sometimes it is enough to realize something is bad and simply get through it. But more often than we are willing to admit, a person or situation we are reacting to negatively is pulling that visceral response out of us because we are afraid. We fear the realization that this person or situation is asking us to look beyond our comfortable labels and reactions and grow. Reaching for love, no matter the person or situation, is reaching for maturity, reaching for clarity, reaching for God. So the next time you’re on the cliff, ready to push Jesus off the edge, ready to shove away this challenging person or situation in your life, stop and think of Paul’s words for a moment. I guarantee you’ve heard them enough times at weddings to remember them: love is patient, love is kind, love bears all things, believes all things, hopes all things, endures all things. Love never ends. Search for the way to find love within yourself in that moment of fear and challenge. Rather than pushing Jesus over the cliff, reach out your hand to him and ask him to help you from going over the cliff of negativity and dismissal and indifference. We will never be able to spontaneously generate love for all people ourselves out of the goodness of our hearts. We individually do not have enough love to go around. But asking God to help us love others—that turns the key and opens us up to become vessels of love. The pitiful trickle of our self-generated love becomes an almighty flood of God’s love flowing through us out into the world, a world in which loving ourselves and our neighbors comes as naturally as breathing, as naturally as any good thing we were created to do. Thanks for your refreshing thoughts, Whitney… I really enjoy reading your sermons! Thank you so much, Mark! All the best to you! Lovely when truth jumps out in front of us ! Thank you ! I so look forward to these. There is a lesson in each one. Thank you! Thank you, Debbie! Hope you’re having a great week! Truly you are gifted to preach. You addressed the thoughts, feelings and questions that arose in me hearing the scriptures this morning. I am so thankful. I also shared this with several people with whom I’ve been talking this week about the subject of LOVE. Thank you, Wendy! Great to hear from you! Just finished Carl Safina’s “Beyond Words: What Animals Think and Feel,” which left me suspecting that we humans could learn a lot about love from elephants and whales, among others. Then your sermon complemented that, giving me a new appreciation of our place in God’s evolutionary plan. Thank you, Whitney! I haven’t read that–I’ll have to check it out! Thank you, Paul, it’s great to hear from you!